A “page” is what you see on a screen. 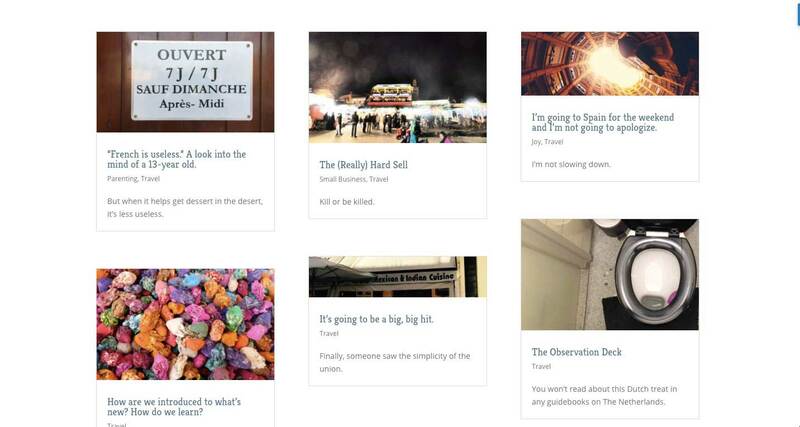 Most themes are set up so that every page of your blog has pretty much the same layout, like the ones you see below. 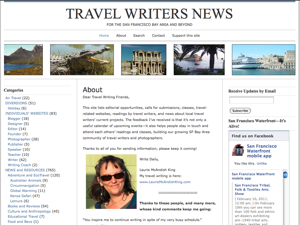 The first is the “Home” page for my Travel Writers News website. The second is an “About” page and the third is a “Contact Me” page for the same website. They all have the same header, and the same information in the narrow right and left columns. If you could see the footers, you’d see that they’re the same, too. The "Home" page of a blog. The "About" page of a blog. The "Contact-Me" page of a blog. While the page layouts are all the same, the content is different. 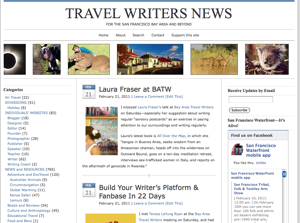 On the home page, you can see a couple of blog posts in the middle section (“Laura Fraser at BATW” and “Build your Writers Fanbase and Platform in 22 Days”). On the “About” page, there’s a description of the website and a photo of the writer. 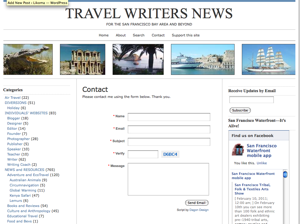 On the “Contact” page, there’s a form for readers to fill out in order to email the website owner. Because when you choose a theme, it’s important to know whether all your pages will look alike (as the ones above do). 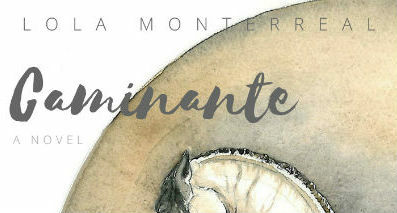 In most themes, that’s the way it is, and if you ask your web designer to make changes, you’re asking a lot. It’s perfectly fine for all your pages to be set up the same way. In fact, it makes things easier for your readers. 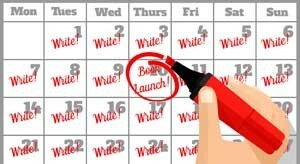 If you want your pages to be laid out differently from each other (or differently from your basic theme), either find a theme that makes changes easy (there are more all the time) or plan to spend time and money. Short story: Don’t try to change your page layout. Posts–also called blog posts–are the short articles you write in your blog or on your website. Two posts are indicated with red arrows below. They can be formatted with bold type or bullet points (etc. ), and they can include links, photos, mp3 files, videos, and more. 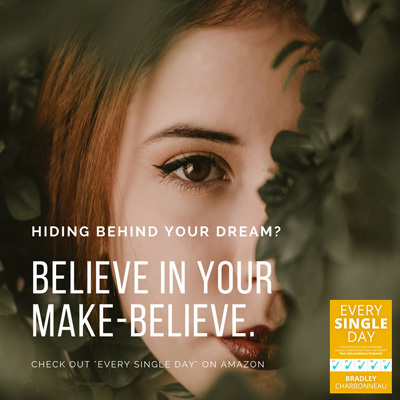 The posts appear on your blog page (usually on your home page, although your home page could also be an “About” page, or any other kind of page you want it to be). Red arrows point to two "posts." 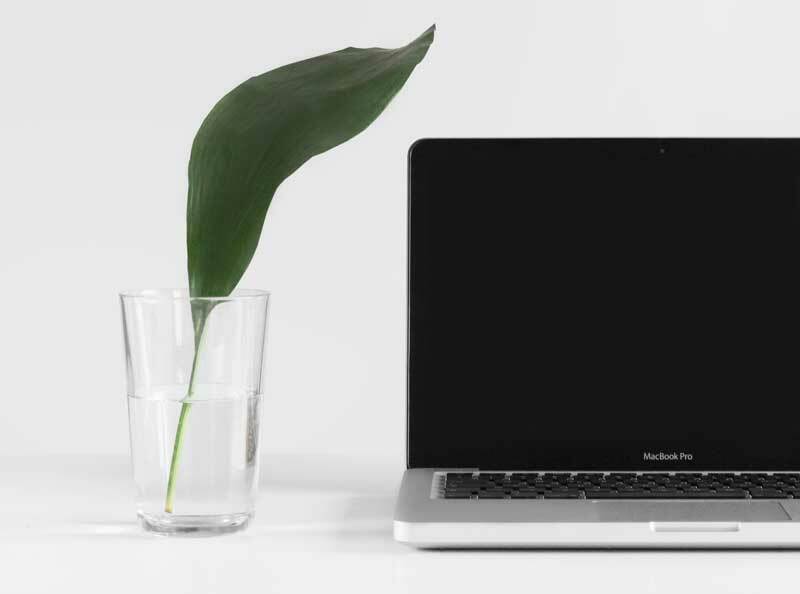 Because your blog posts are probably the central part of your website, it’s important to think about how they look on the page. Some themes (like the one above) stack up five or six posts, all the same size as each other. Many themes (like the one below) show one large post at the top of the page, and several smaller posts below the main post. Red arrows point to "posts." When you choose a theme, you want to understand how it displays posts. Categories are invented and assigned by you to help organize your posts. Each category can have several sub-categories. For example, you might have one category for your articles (or posts) about European countries, a second category for your articles about Asian countries, and a third category for your articles about African countries. Your “European Countries” category might have a sub-category for your articles about Italy, another sub-category for your articles about Romania, and so on. Every time you write a post you will assign it one or more categories. 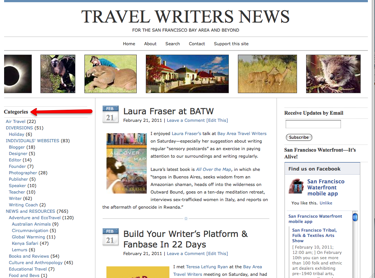 Your theme will probably display a list of categories, to make it easier for readers to find particular posts. For example, a reader could click on the “Italy” category, and all your posts about Italy would show up in the post area. 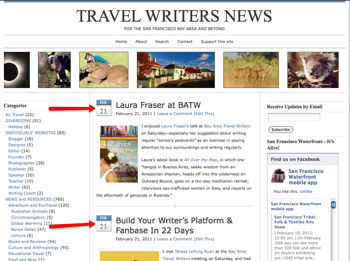 A list of categories and sub-categories make it easier for readers to find their way around your site. Some themes let you choose from several different ways of displaying categories. Some let you display both categories and sub-categories; some even show sub-sub-categories. Because they’re essential for navigation, and because easy navigation is important for your reader, you care how the categories look. 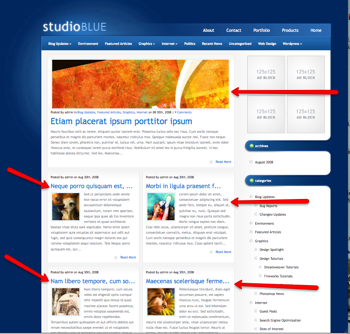 When looking at a theme, be sure you understand how the categories are displayed. OK! Now that you understand pages, posts, and categories, let’s discuss a few more terms, so we’re all speaking the same language. Freelancer experienced in content development, strategic planning, project management. 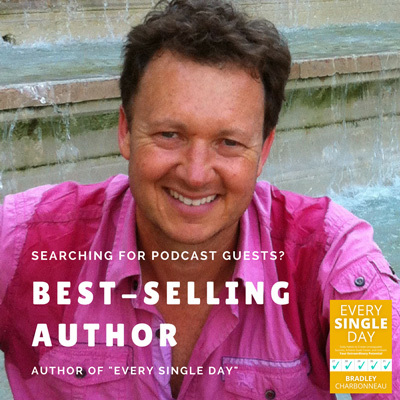 Also enjoy travel writing, photography, natural history, and chasing the cosmic serpent.